Bouchoir is a village on the straight main road from Amiens to Roye. 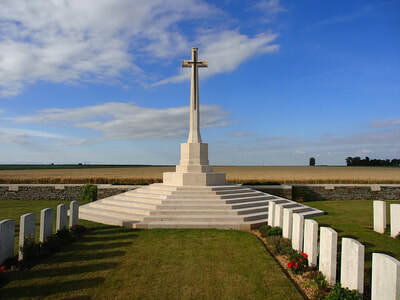 From Peronne take the N17 to Roye then the D934 to Amiens. 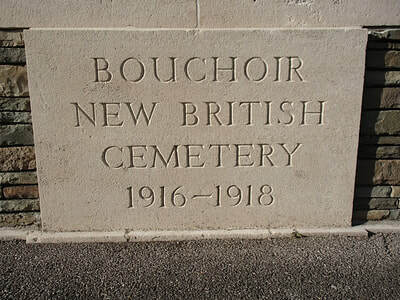 Travel for approximately 8 kilometres and just before the village of Bouchoir the cemetery will be found on the right hand side of the road. Wheelchair access to this site is normally possible, but may be by alternative entrance. 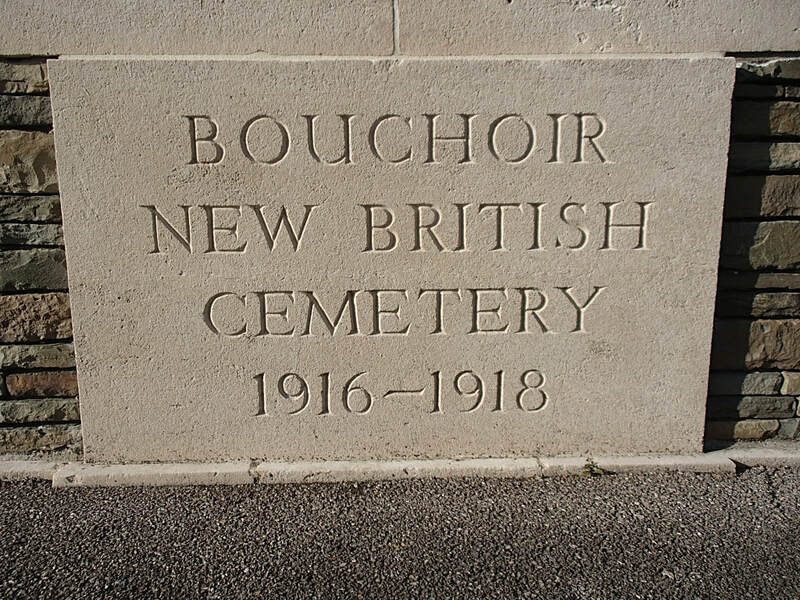 The village of Bouchoir passed into German hands on 27 March 1918 but was recovered by the 8th Canadian Infantry Brigade on 9 August 1918. 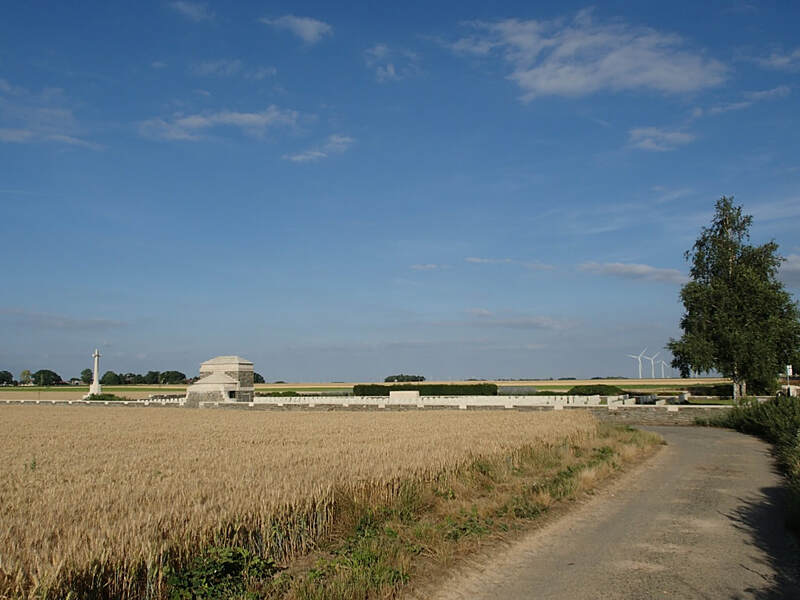 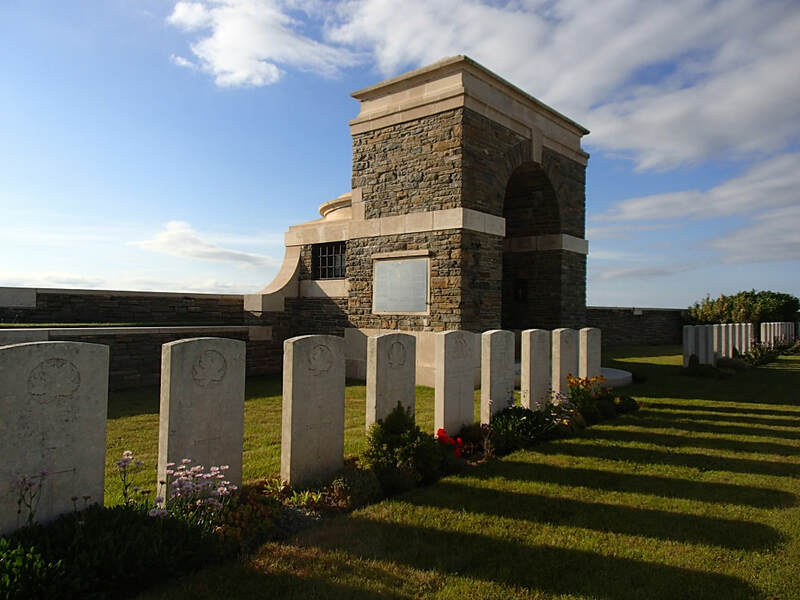 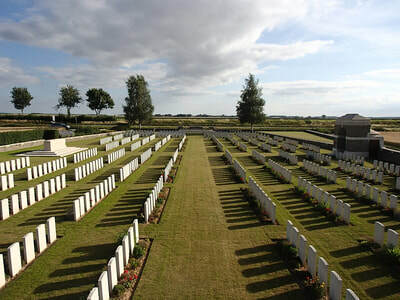 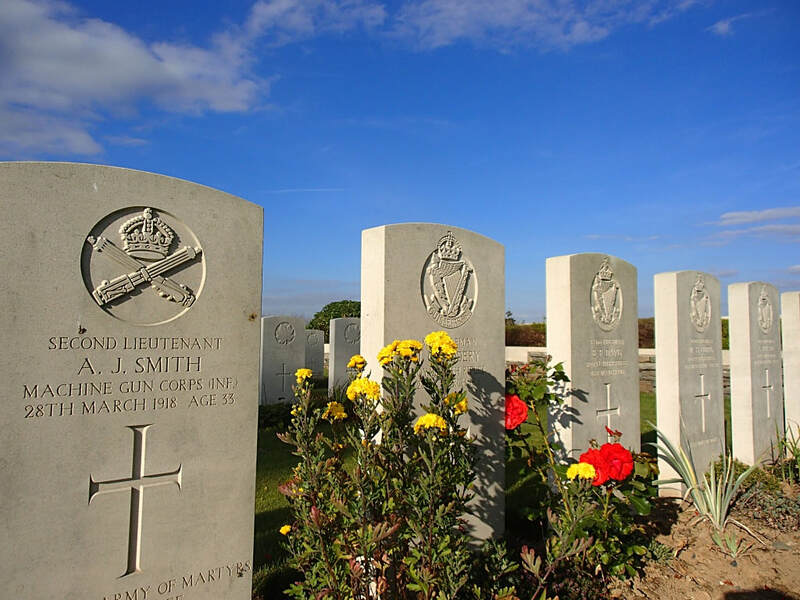 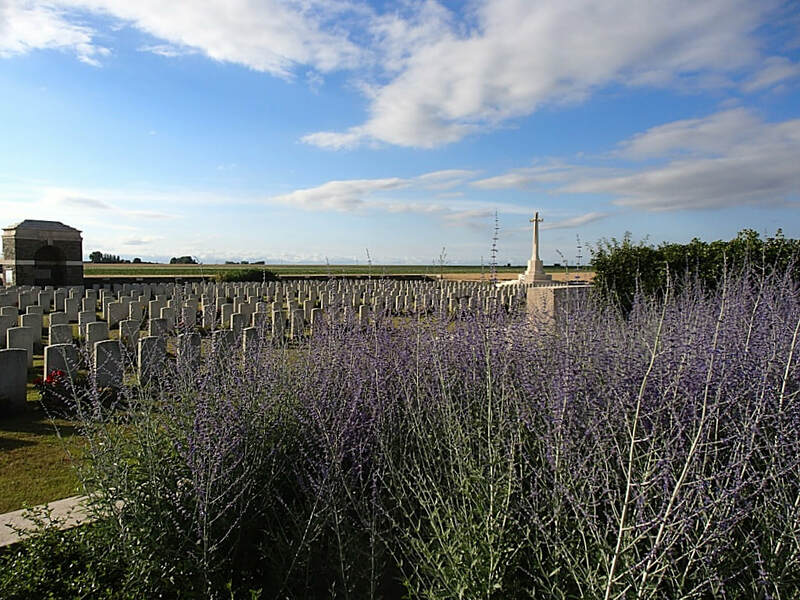 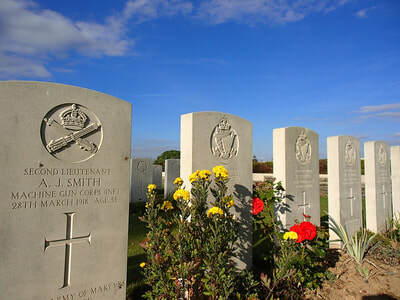 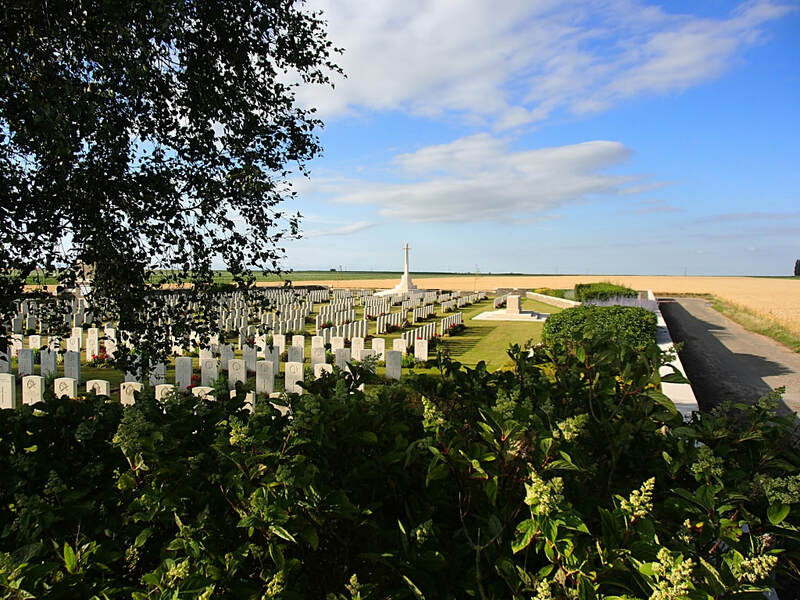 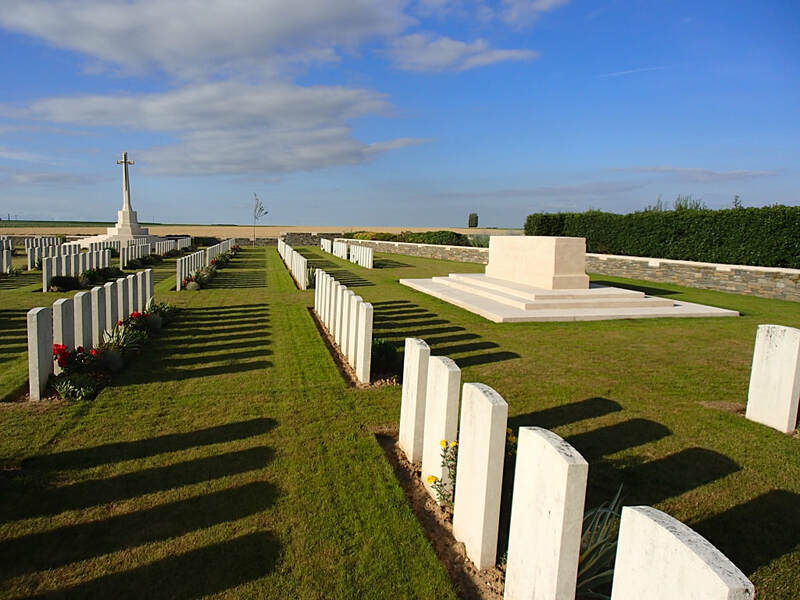 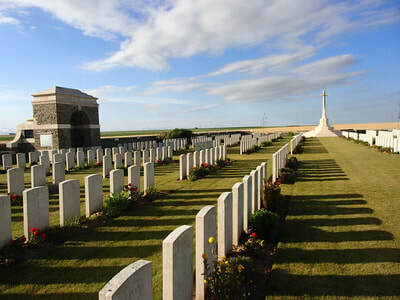 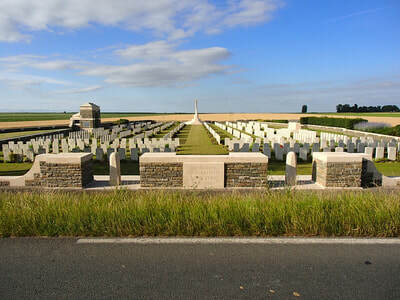 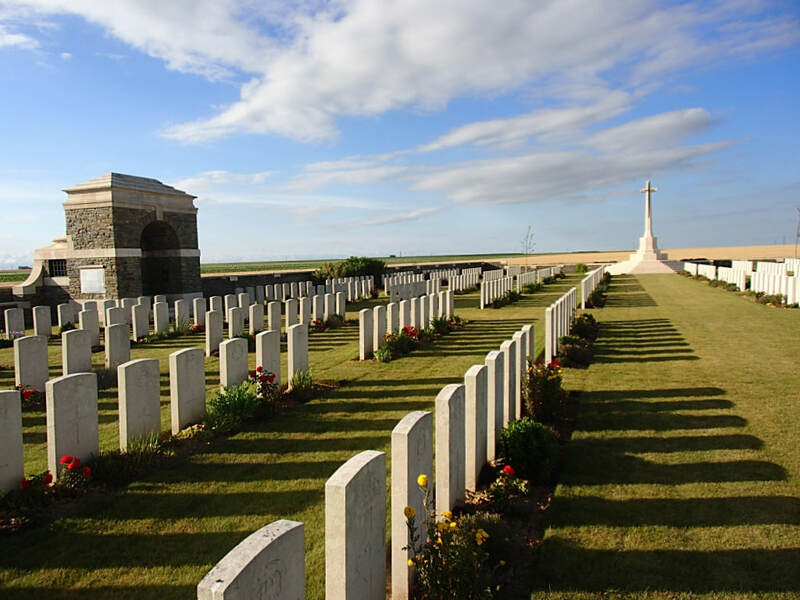 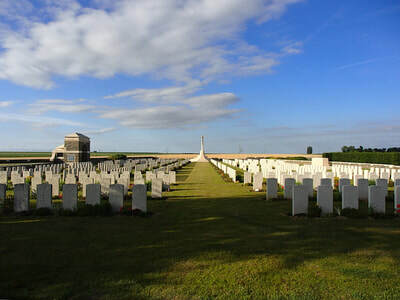 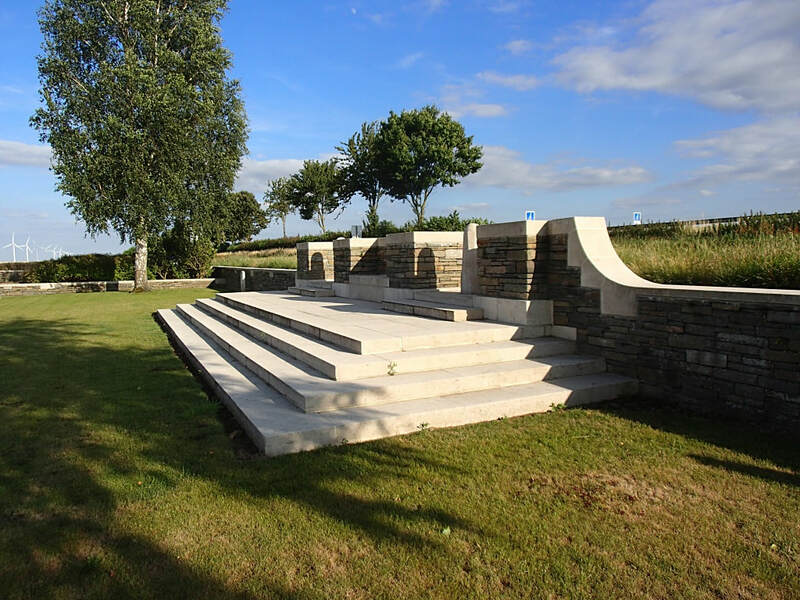 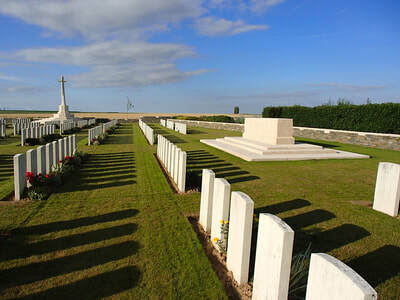 The cemetery now contains 763 burials and commemorations of the First World War. 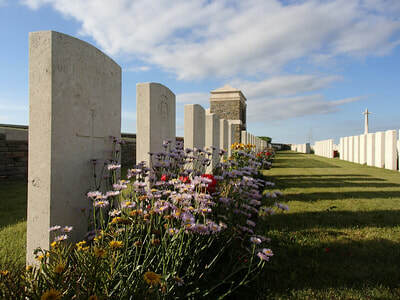 231 of the burials are unidentified but there are special memorials to five casualties known or believed to be buried among them. Another special memorial commemorates an airman buried in Laboissiere German Cemetery whose grave could not be found. 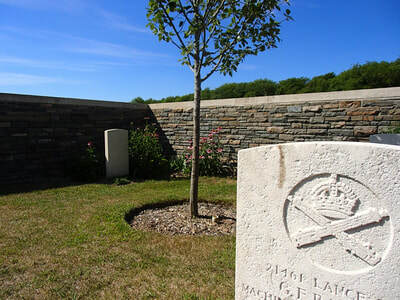 The graves in Plots I and II are numbered consecutively from 1 to 144. 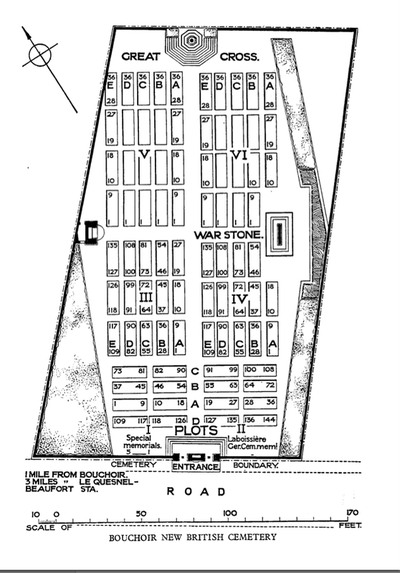 Those in Plot III are numbered from 1 to 135, and the same system applies to Plot IV. 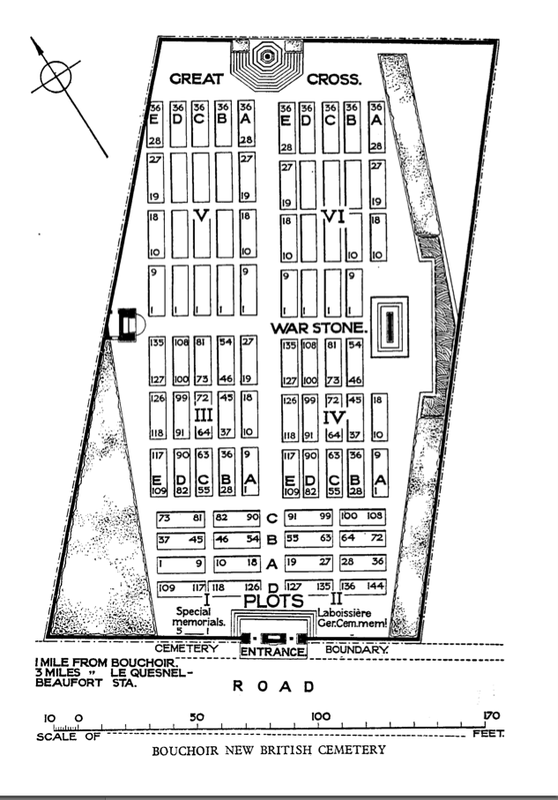 Plots V and VI are numbered by rows in the usual way. 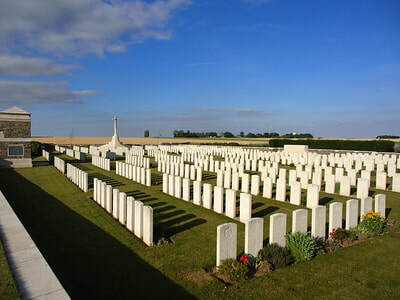 Casualty Details: UK 542, Canada 214, Australia 6, South Africa 1, Total Burials: 763. 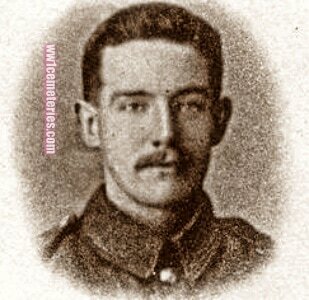 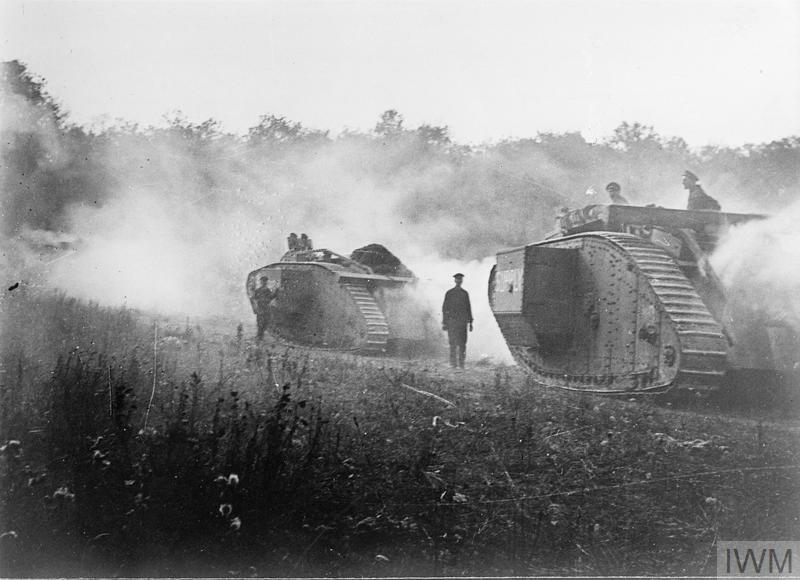 10th August 1918, aged 26. 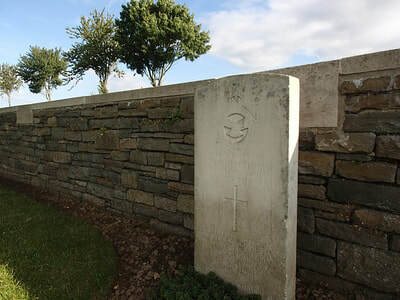 Son of Edward and Alice Brand, of Cambridge; husband of Letitia Brand, of 14, Petworth St., Cambridge. 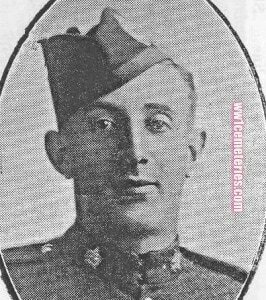 Husband of Mrs. J. Olson, of Gimli, Manitoba.